Don’t worry. You’re safe. This movie review contains no spoilers for Avengers: Infinity War. Well, depending on how you define “spoiler.” Am I going to tell you if anybody died? No. Will I share some of my feelings on the movie? Yes. I will, however, keep everything as vague as possible, allowing for general thoughts about the film itself. So, if you do want to go into the film completely blind (which is what I recommend), then I would stop reading now. If you would like to understand the general tone of the film and know if it is worth the hype or not, then you may proceed. If you’ve already seen the movie and would like to read a more in-depth analysis of the film, click here. Let’s start at the beginning. Is the film worth the hype? Honestly, yes. It takes a lot of work to culminate a 10-year franchise, and the Russo brothers succeed. Avengers: Infinity War is true to its universe so that longtime fans are satisfied and character choices make sense. At the same time, the film introduces an engaging, complicated new villain that adds a sense of freshness to a franchise that may have been becoming stale and repetitive. In Avengers: Infinity War, the stakes are much higher for all parties involved, but not all whimsy is lost. The film still contains moments of that Marvel charm and humor that viewers have come to love. The movie is long (the longest running Marvel film yet at 2 hours and 40 minutes), but it doesn’t feel like that. With multiple storylines and great pacing, viewers do not feel like they are slogging through a near-3-hour film. In Captain America: Civil War, the Russo brothers proved their ability to manage a multitude of characters on screen. However, Infinity War seemed like a whole other beast with the inclusion of the Guardians of the Galaxy, a new villain, and other characters. But the Russo brothers deliver an engaging film that effectively follows numerous plotlines, giving each character their chance in the spotlight. If you’re afraid that one of your characters might be lost in the crowd, fear not. Each main character gets the opportunity to do something pretty cool. 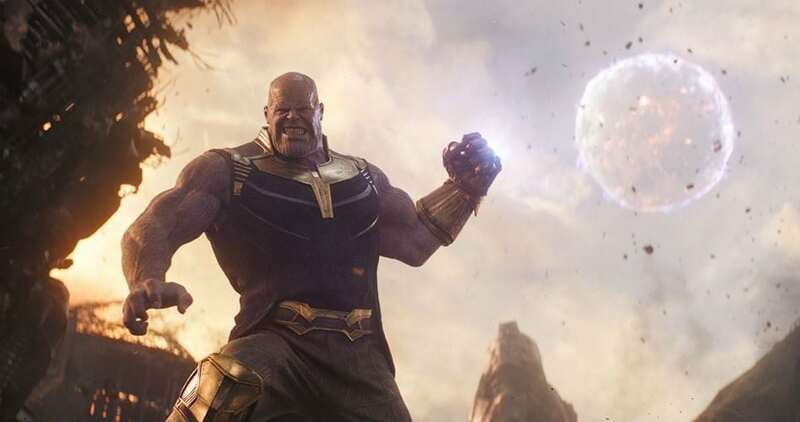 Josh Brolin delivers a fantastic performance as Thanos, giving audiences one of the best on-screen Marvel villains of this generation. He’s complicated yet thoughtful; emotional yet ruthless. And that is all I will say about the Mad Titan. However, the one major flaw with this film is that it isn’t exactly inclusive for those not fully engaged in the Marvel Cinematic Universe. Let’s say you’re new to the MCU, but you might not have time to dedicate to the 18 previous Marvel films. Here is a brief list of the movies that you should watch in order to be aptly prepared, assuming you’ve never seen a Marvel film before. These would give you a good enough base. Obviously, I would recommend watching every single one so you can fully understand the characters and their choices, but that brief list should give you the minimum base you need to understand the universe and most of its characters. Maybe throw in Black Panther and Avengers: Age of Ultron if you have time. Now that you have your spoiler-free preview, enjoy Avengers: Infinity War and keep your spoilers to yourself.